Soccer in the United States is on the rise, there is no denying this. The US Soccer Federation has been recognized by FIFA for over 100 years. It has done an excellent job fostering the sport in our nation for the past 20 years. Thanks to their efforts we have multiple leagues on the rise, one of the largest youth player populations in the world, and a loyal fan base for both the Men's and Women's national teams. Despite this, there are still areas where our countries lag far behind. Coaching is not up to the standard of many of the European and South American countries we are competing with. Domestic clubs have no incentive to build academy systems within their communities. Our nation squanders our numbers advantage in youth player population, with only a few players that could be considered international superstars coming from a population of millions. The USA also has a tremendously confusing league structure with a bizarre system of player transfers. As the manager of the USMNT, Jurgen Klinsmann is in a unique position to push through reforms to bring America into 21st century football. He has already breathed life into the squad by selecting a youthful World Cup squad that rekindled American public interest in the sport. Under his tutelage he led the United States to their most successful year ever in 2013. He was part of the reform effort in Germany that ultimately led to World Cup triumph just a week ago. 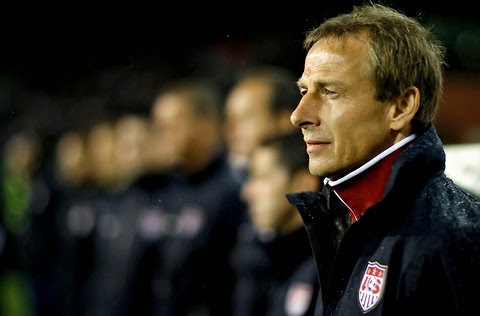 Klinsmann is at his heart a reformer, there is no better man to overhaul the American system. With that being said, here are reforms Klinsmann should push through in order to take American soccer to the next level. As it currently stands, American professional soccer is divided into three tiers comprised of 50 teams. Expansion efforts will increase this number over the coming seasons, with the top tier Major League Soccer being the 3rd most attended sport in North America. These indicators signal that American soccer at least at the top tier is healthy and solvent. For this reason, America now needs to transition that success down the league structure and unify the leagues, utilizing a system of promotion and relegation. This system would give MLS clubs an added incentive to perform at a high level, give USL and NASL clubs rewards for their success, and add excitement at all levels for the fans. The NCAA is a cartel that profits from free labor and it harms the development of American youth soccer talent. Currently the majority of high school talents are playing for a college scholarship, not to become a professional footballer. By the time American soccer players expend their collegiate eligibility they are at least 21 years old. 21 is considered by most professional clubs to be too old to relearn the skills and benefit from professional training they should have received during their teenage years. At European and South American clubs, professional prospects are groomed from the age of 13 by top youth coaches. They receive training from an early age in order to develop the instincts and discipline necessary to become a professional. Players are in America are motivated by the hope of receiving a college scholarship and diploma, a worthwhile investment, but a short sighted one. As a student-athlete it is difficult to take full advantage of either opportunity when you are forced to sacrifice academics for training or vice versa. Tying academics to football not only harms college institutions, but the players that are involved in them. Now, I'm not saying every prospect should give up college in order to chase the dream of being a professional footballer, but for elite teenage talents it is something that should certainly be considered. American clubs do not take advantage of the youth player populations within their areas of influence. Professional clubs should be motivated to develop talent within their locales. By developing talent locally they foster new generations of fans, can create unique club identities, and perhaps most importantly, avoid excessive transfer fees and profit off the sale of these players. Also by improving and developing academy systems, the national team can better keep track of elite talents in different areas of the country. This would decrease the number of youth players that fall through the cracks. America is a unique country so there will always be players like Clint Dempsey that succeed without club academy involvement, but these should be rare occurrences, not the norm. The average salary for MLS players in currently $207,831 per year, however 76% of players make less than the league average. In 2013, 62 players were paid the league minimum of $35,125. Compare this to the English Championship, the second tier league of England, where players make 211,068 per year. Salaries for leagues such as USL Pro are significantly smaller, with players make on average between $20,000 to $40,000 per year. How can professional players be expected to succeed when they could make more money being an accountant? Players must have an economic incentive to continue their careers, giving them something beyond the entry level salary for most careers. Without a living wage, players could be forced to take off season jobs, which can cause them to sacrifice fitness and training opportunities. The future of US Soccer depends on players being able to make a living playing domestically. Despite having a solvent league, the MLS still performs poorly in CONCACAF's continental competition. The best ever performance by an American club came from the 2010-11 Real Salt Lake squad that finished runner up to Monterrey. Without a club establishing itself as a dynasty in this competition, American club football will struggle to find itself taken seriously in the world of football. Winning this competition opens the doors to the Club World Championship, which pits the champions of each continent against each other. On this stage, an MLS club could face European giants like Real Madrid and display how far the league has come. In closing, America is a sleeping giant in world football. Taking action on these reforms would not be easy and may require sacrifice. However if they are implemented, America could begin to wake the beast from its slumber. Pretty much spot on, good stuff. Sports are good. One of the particular systems of the body that receives maximum advantage of sports activities is the cardiovascular system including one's heart.